Julian Subatoi Bashir was a human male, born on August 29, 2341 in Great Britain on the planet Earth. Originally named "Jules," he changed his name at age 15 to "Julian;" he was the only child to Richard and Amsha Bashir. One of Julian's most prized possessions as a child was his stuffed teddy bear, Kukalaka. When Julian was a boy, he took him everywhere he went. In 2346, at the tender age of five, Bashir performed his first surgery when he re-stuffed his well-worn Kukalaka. Bashir continued to hang on to Kukalaka well into his adulthood. At age six, Bashir was small, not very bright, and a bit physically awkward for his age. In the first grade, while the other children were learning how to read and write and use a computer, Julian was still trying to tell a dog from a cat and a tree from a house. He never really could understand what was happening, but he knew that he wasn't doing as well as his classmates. There were several concepts they took for granted that he couldn't begin to master, but he didn't know why. All he knew was that he was a great disappointment to his parents. In 2348, just before Julian's seventh birthday, the Bashir family left Earth for Adigeon Prime. At first, he was excited to see all the aliens in the hospital, but then they gave him a room and started a series of treatments. These treatments, known as "accelerated critical neural pathway formation," were a method of genetic engineering that involved the resequencing of his DNA. Over the course of two months, his genetic structure was manipulated to accelerate the growth of the neuronal networks in his cerebral cortex, and a new Julian Bashir was born. The focus of his "enhancements" were to increase his mental abilities and as such, his IQ jumped five points a day for over two weeks. Further treatments led to improvements in his hand-eye coordination, reflexes, vision, stamina, height, and weight. In the end, everything but his name had been altered in some way, which led Julian to do so himself by refusing to ever again answer to the name "Jules." The Bashirs returned to Earth and moved to a different city, where Julian was enrolled in a new school using falsified records his parents obtained somewhere. Instead of being the slowest learner in his class, Bashir was the star pupil. As a child, Bashir was afraid of doctors because they seemed to know everything, as if they held the power of life and death in their hands. He used to think that if he didn't behave, they would make him sick. In 2351, at the age of ten, he was living with his family on Invernia II. He and his father got caught in an ionic storm and found shelter with a girl who became ill and later died because no one present knew that a nearby herb could have saved her. This memory further influenced Bashir's choice to become a doctor. As he got older, he decided that he wanted to know what doctors knew, to be as smart as they were. Upon furthering his education, he learned that all he really wanted to do was help people. In 2356, at the age of fifteen, Julian stopped calling himself Jules when he found out his parents had him genetically enhanced, believing that his parents had considered him defective. Julian, however briefly, considered becoming a professional tennis player. Although good enough to play professionally, he decided to give it up and become a doctor instead, knowing that his parents wouldn't approve of his career choice. While at Starfleet Medical Academy, Bashir took engineering extension classes that focused mainly on starship operations. On New Year's Eve, 2367, Bashir attended a party at the home of Bruce Lucier, with his Andorian friend, Erit – Elizabeth Lense also attended. At the party, Erit (the Andorian) was pointed out to Lense as being Bashir, causing her to have mistaken Bashir for an Andorian for four years. While attending Starfleet Medical Academy, Bashir designed an incredible candy bar that was far superior in food value than Starfleet combat rations. Bashir was the captain of the Medical Academy racquetball team. His team won the sector championships in his final year. When he played against a Vulcan in his final match however, he found his greatest opponents were the ones with no formal training. At another tournament, he picked up a 5,000-year-old battle warm-up exercise from a top player. According to legend, the warm-up makes the heart a friend to the hand. Julian graduated in 2368 as salutatorian, missing one question on the final, where he mistook a preganglionic fiber for a postganglionic nerve during the oral exam phase of his Starfleet Medical finals. The valedictorian of his class was Elizabeth Lense. Despite graduating salutatorian, he did graduate first in his class in pediatric medicine. After graduation, Bashir was offered the choice of any job in the fleet. He was also offered a position at a prestigious medical complex in Paris by its top administration, Mr. Delon, the father of Bashir's then-girlfriend, Palis Delon. He promised Bashir he would be chief of surgery within five years, which meant Bashir would have to give up his Starfleet career. Bashir came very close to taking the position but subsequently gave it up, as well as Palis. Choosing to stay in Starfleet, and not wanting a cushy job or a research grant, Bashir chose an assignment aboard starbase Deep Space 9. At the time, it was one of the most remote outposts available, located beyond the farthest reaches of the Federation, allowing Bashir the chance to study "real frontier medicine". On stardate 46379, 27-year-old lieutenant junior grade Bashir was transported to his new posting at Deep Space 9 by the USS Cochrane. It did not take Bashir long to experience frontier medicine. During the first week of the Federation take-over of Deep Space 9, the station was attacked by Gul Jasad of Cardassia, who believed that the station had destroyed a Cardassian vessel. The vessel had really entered a stable wormhole near the station. Bashir was called to the station's Promenade to treat the wounded. While serving on Deep Space 9, he met Elim Garak, a Cardassian tailor, who Bashir thought might have been a spy. Bashir was enthralled by him and they became friends, with Bashir trying to pry secrets from Garak. Later that year, he accompanied Benjamin Sisko, Kira Nerys, and Kai Opaka on a journey through the Gamma Quadrant. They crash-landed on a planet where war was eternal, and the warring people did not die. He, along with Miles O'Brien, visited a village on Bajor and helped the people pick a new Sirah to drive off the Dal'Rok, an energy being, from the village. During an away mission, Bashir rescued a Kobliad security officer from a burning ship. The criminal she was transporting transferred his mind into Bashir's mind and controlled Bashir into committing criminal acts, until he was driven out of his consciousness and destroyed. At one point, Bashir became a Human game-piece in a Wadi game that Quark was forced to play to teach him a lesson in honesty. Quark believed that if he lost, his friends would die, but it was only a game. During an accident on the space station, Bashir saved the lives of a group of Federation ambassadors. He began a friendship with Elim Garak, the only Cardassian on the station. He saved his life by removing an implant from his brain that had been put there by Enabran Tain, the former head of the Obsidian Order. Together, they also exposed Gul Dukat's plot to embarrass Kotan Pa'Dar, whose son was left on Bajor during the Cardassian Withdrawal from the planet. On stardate 46578, Bashir boarded the USS Enterprise-D to access its computer's bio-imaging systems in sickbay, following the discovery of what he believed was a medical scanner discovered in the Gamma Quadrant. With the assistance of Commanders Data and La Forge, they ran a full circuit pathway diagnostic on the device in engineering. While working with Data, Bashir became interested in cybernetic research. Bashir was fascinated by all the trouble his creator took to make Data, who he referred to as a "synthetic lifeform", seem "Human". He was especially surprised by how "personable" Data was, and among other things, questioned Data about whether his hair grew, and observed that Data was "breathing" and had a "pulse", questions that Data had never been asked before, people being more focused on how he was different from Humans rather than how he was similar to them. During their investigation of the device, it emitted a plasma shock that overloaded Data's positronic net, activating a series of previously dormant circuits that subsequently allowed Data the ability to dream. With Data's permission, Bashir took this opportunity to author a paper on the subject with the intentions of getting published in the Starfleet Cybernetics Journal. Bashir and O'Brien helped destroy the biological weapons of the T'Lani and Kellerun. Officials of both races ordered the assassination of both men in order to make sure that the secrets of the weapons would not become known. In 2370, he became the first Starfleet officer to cross over to the mirror universe in more than a hundred years. His counterpart was one of the leaders of the Terran Rebellion against the Alliance. He unknowingly took part in a fixed racquetball game against O'Brien. A swindler had opened a new bar on the station and was hurting Quark's business. Bashir was the favorite in the game, and by fixing it so O'Brien won, would have garnered Quark huge profits. In 2371, Bashir, along with Jadzia Dax and Sisko, was accidentally transported back in time. They went back three hundred years to the time of the Bell Riots on Earth. It was a time of social upheaval and they were instrumental in helping the government become aware of the poor. Later in 2371, he was attacked by Altovar, a Lethean who was attempting to steal bio-mimetic gel from the infirmary. The Lethean's telepathic attack put Bashir into a coma. He helped O'Brien expose a Romulan plot to destroy the wormhole through a series of time jumps. One of Bashir's notable projects was on biomolecular replication. His work was submitted by Jadzia Dax and later nominated by the Federation Medical Council for 2371's Carrington Award for his work, which was, according to Dax, "both audacious and groundbreaking." This made Bashir the youngest nominee in the history of the Carrington Award. He was honored to be nominated, but felt that the undeniable truth was that he was far too young to be a serious candidate for the award. Another project Bashir worked on at this time was a treatment for the Teplan blight, a fearsome bioweapon used by the Dominion to punish at least one planet, Teplan, for resisting them. However, his initial attempt to treat a number of patients ended disastrously with Bashir discovering too late that Dominion had prepared the weapon to fatally accelerate its symptoms when subjected to the electromagnetic fields of modern medical equipment. Although deeply despondent at this failure, Bashir inadvertently discovered an in-vitro vaccine that would allow the population to give birth to children immune to the blight. Despite this breakthrough, which earned a commendation from his superiors, Bashir still researched the disease for some time before apparently giving up and presumably delegating the project to Starfleet Medical. After an attack by the Jem'Hadar, the USS Defiant was heavily damaged. Bashir and Dax were trapped in a turbolift, with a limited supply of air. Just as their air ran out, they were freed from the lift. During the war with the Klingons, Bashir saw war close up. He attended to the wounded on a colony attacked by the Klingons. With limited medical facilities, he was still able to treat and save many of the wounded. Bashir was promoted to full lieutenant in 2372. Early that year, Bashir participated in drills aboard Deep Space 9, in preparation for potential Changeling infiltrators, where he coordinated phaser sweeps of the Promenade. On stardate 49011, Bashir prepared his staff for the pending Klingon assault on the station. On stardate 49066, Bashir and Chief O'Brien conducted a mission to the Gamma Quadrant that included a bio-survey of Merik III. En route to the Bajoran wormhole, their runabout, the Rubicon, detected a subspace magneton pulse in the Bopak system. The source was later determined to be coming from a Jem'Hadar attack ship, located on the planet Bopak III. Later that year, Bashir was at a burn treatment conference on Meezan IV. He went to bed one night and woke up in the Dominion Internment Camp 371. Meanwhile, a Changeling had replaced the doctor aboard the station for over a month. The Changeling Bashir remained aboard Deep Space 9, spreading paranoia, but ultimately to trigger a supernova in the Bajoran sun with a bomb composed of trilithium, tekasite, and protomatter. The Changeling Bashir hijacked the runabout Yukon to perform his mission, but was thwarted by the Defiant. Bashir enjoyed the holosuites at Quark's. One of his favorite programs was a spy novel, with Bashir in the title role. When the explosion from a sabotaged runabout blew out the station's transporter, Michael Eddington was forced to save the patterns of Sisko, Dax, Kira, O'Brien, and Worf in the station's computer. Their neural patterns took up so much space in the main computer that it had to store their physical patterns in the holosuite Bashir was running, causing the senior staff to appear as characters in his program. Bashir's genetically engineered status was revealed in 2373, after Lewis Zimmerman chose him to be the template for the Long-term Medical Holographic program. Despite standing regulations, Starfleet opted to make an exception to its rules barring resequenced personnel, provided Bashir's father accept incarceration for violation of eugenics laws, which he did. Bashir participated in numerous military operations during the war. He was with Sisko when they destroyed the ketracel-white storage depot. The Jem'Hadar ship they used suffered heavy damage and lost its warp drive. When the ship crashed, it was on a planet where a Jem'Hadar ship had previously crashed. A battle ensued between the crews. Elim Garak and Nog were captured by the Jem'Hadar. But with Keevan, the Vorta leader hurt, they were released in exchange for Bashir treating Keevan. Bashir operated on him and saved his life. Keevan then betrayed his forces because he had run out of ketracel-white and worried that the Jem'Hadar would kill him. Bashir took part in the recapturing of the station and driving the Dominion back to Cardassian space. Later that year, he was a part of Worf's and Jadzia's wedding. He and O'Brien used Ma'Stakas to attack Worf and Jadzia at the end of the wedding, which was a Klingon tradition (as well as an opportunity for the two to vent their frustrations over the trials and suffering endured during the symbolic lead-up to the wedding ceremony itself). While studying genetically-engineered Humans, he learned from them that the attempt by the Dominion to open peace talks and cede territory was a ruse in order to acquire planets that could help produce ketracel-white. In late 2374, Bashir was selected by Luther Sloan, a member of the covert Federation intelligence group, Section 31, as a potential operative. While the crew of DS9 believed he was attending a medical conference on Casperia Prime, he was abducted by the group and placed in a holographic simulation to determine his potential of being a Section 31 operative. Although offered a position as part of their organization, he turned down the offer. A year later, Bashir was contacted by Sloan to serve as an operative for Section 31 during Bashir's trip to lecture at a conference on Romulus. Sloan led Bashir to believe that he was planning to assassinate the chairman of the Tal Shiar, Koval. In reality, it was an operation to prevent Kimara Cretak from ascending to a position on the Continuing Committee. Bashir took part in the defense of AR-558, which was a planet that guarded the supply route of the Federation. Several months later, Bashir and O'Brien realized that Section 31 was responsible for the morphogenic virus that was killing the Founders of the Dominion, as well as their friend Odo. Bashir sent a false message to Starfleet Medical, informing them that he had found a "cure". Sloan traveled to Deep Space 9 with the intent of destroying the cure. Bashir and O'Brien were successful in restraining him and, using Romulan mind probes, were successful in extracting the cure from Sloan's mind before he died. Bashir took part in the final battle of the war. After the war was won by the Federation Alliance, Bashir said goodbye to his friend, Miles O'Brien and began a relationship with Ezri Dax. In April 2376, his relationship with Dax was strained when she began to explore the connection with her previous hosts and momentarily took on the personality of Jadzia Dax when they were making love. The incident spooked and offended Bashir who stormed out of Dax's quarters. Shortly after, Bashir was attacked by the Jem'Hadar Kitana'klan, who had been masquerading as Odo's envoy to the Alpha Quadrant and previously cooperated with the station personnel. He was severely wounded in the attack and lost a lot of blood, fortunately Taran'atar was able to apply a cauterizing seal patch from Bashir's medikit, which saved his life. Ezri reconciled with him amid the trauma of this ordeal. Later in the month Bashir was again approached by Section 31, this time by a man named Cole. 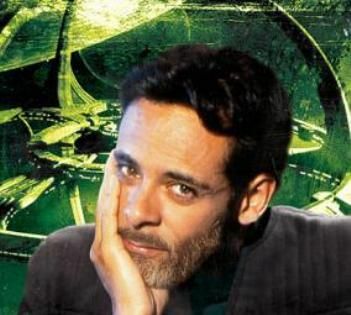 Cole informed Bashir of a failed Section 31 operation on a world called Sindorin, and the betrayal of an augmented madman named Ethan Locken. Locken had been recruited by Section 31 to refurbish an abandoned Dominion factory designed to manufacture Jem'Hadar soldiers. Locken was to create Jem'Hadar troops that were loyal to Section 31 and the Federation. Locken killed his overseers from Section 31, and created Jem'Hadar that were loyal to only him. Locken declared himself the new Khan, and intended to start a new eugenics war. Section 31 believed that Bashir's genetically enhanced background would give him an advantage over Locken. Bashir agreed to attempt to stop Locken. Joined by Dax, Ro Laren, and the Jem'Hadar observer Taran'atar, Bashir traveled to Sindorin. With the assistance of the native Ingavi, Bashir's team managed to defeat Locken and stop him from launching a plague missile to the Cardassian colony on Orias III. In August, Bashir temporarily lost his genetic enhancements after an encounter in the Gamma Quadrant with an extremely alien multidimensional structure, dubbed both "cathedral and anathema" by local races the D'Naali and the Nyazen. The artifact connected Bashir to an alternate reality version of himself that had never received genetic enhancement. The result was a physiological reset of Bashir's physical being, reversing his genetic enhancement. He was restored after a return trip to cathedral/anathema, during which he made peace with what and who he was, before and after the enhancements. In October, Bashir and Dax traveled to the planet Trill. Julian assisted Ezri during a political crisis on her species' homeworld. After this trip, Julian and Ezri ended their romantic relationship. Soon after, while on his way to a medical conference, Julian and Dr. Elizabeth Lense found themselves trapped on a primitive world, and treating the wounded in opposite sides of a planetary war. He returned to the station on October 27th. In early 2377, Bashir replaced the injured heart of Captain Kira Nerys with an artificial one; after she was brutally assaulted by the mind-controlled Taran'atar. Julian was assigned to the new Deep Space Nine after the old one was destroyed.